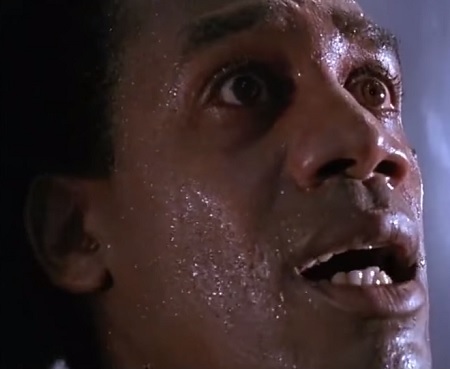 What If the T-1000 Had Found Miles Dyson First? I love Terminator 2: Judgment Day. It’s a perfect sequel that goes full speed ahead and leaves little time to wonder about any possible paradoxes or other directions the story could have taken in the second half. 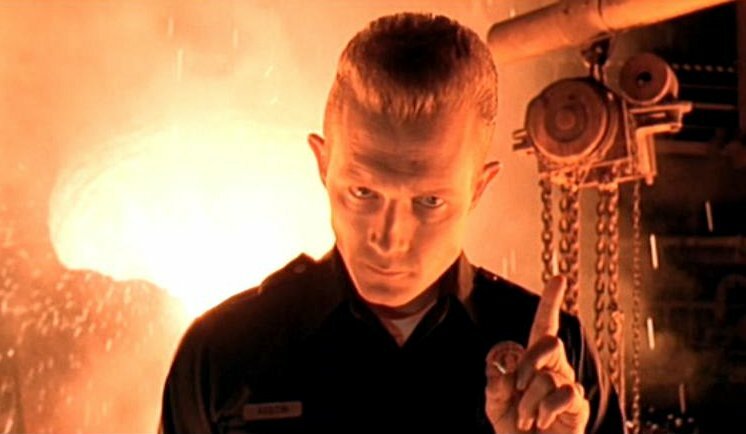 One thing is for sure: The T-1000 is one of the all-time greatest movie villains. He is so laser-focused on finding and killing John Connor that he becomes chillingly compelling in his own way. After the chase scene at the insane asylum, we don’t see him again until he shows up at the burned-out remains of Miles Dyson’s home. Dyson is the creator of Skynet, which will one day start a nuclear war and then attempt to exterminate the surviving members of the human race. All of this leads me to wonder what would have happened if the T-1000 had gotten to Miles Dyson’s house before Sarah Connor? After all, the Terminator says that the T-1000 knows everything he knows, so he could have anticipated their plan to strike at the heart of Skynet to prevent the war of the machines. Perhaps the T-1000 sends Miles Dyson away and impersonates him. All he has to do is touch a person and he can perfectly imitate them. He’s already shown his proclivity for doing that throughout the film. In fact, one of his earlier plans was to kill Sarah Connor and take her place in order to catch John off guard. When that plan goes awry, his next best option is doing something similar with Dyson, except that he wouldn’t want to kill him when his own existence rests on Dyson’s shoulders. Wouldn’t that have been an interesting twist? Sarah shows up at Dyson’s house hoping to assassinate him, only to discover to her horror that her bullets just pierce metal, not flesh. And then she’s in a world of trouble as he transforms back into his cop uniform and wags his finger at her. If the T-1000 can’t kill John Connor and win the war on Skynet’s behalf, the least he can do is ensure Skynet’s existence in the future. And knowing so much about Dyson’s psychology, he would understand what a family man he is. He might just break down Dyson’s door and demand he continue his work or else his family pays the price. He might even give him the last key bits of information he needs to speed up the process of Judgment Day rather than waiting for history to play out naturally. This could actually be part of his mission because it would mean John and Sarah won’t be prepared for the nuclear war because they think it’s still a few years off. In the end, it would be up to John, Sarah, and the Terminator to wage an attack on the Dysons’ home to rescue them from the T-1000 and prevent the war. This is the most interesting possibility. It shifts the T-1000’s position from an unstoppable killer into an unlikely protector. Halfway through the film, it would subvert our expectations once more, just as the reveal of Arnold Schwarzenegger’s Terminator as the good guy did at the start of the film. 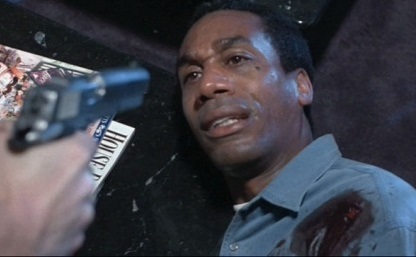 What if Sarah had shown up at Dyson’s house, ready to go in for the kill and instead of a well-timed toy car saving Dyson from certain death at the hands of a sniper’s bullet, the T-1000’s hand stopped the bullet inches from Dyson’s head? Now we’ve got a really bizarre situation on our hands. The Terminator is protecting John Connor from the T-1000 while the T-1000 is protecting Miles Dyson from Sarah Connor. The future of the machines and the human race are in the hands of a couple of murder machines. This could lead to some incredible drama as Dyson figures out his role in the nuclear holocaust of humanity and then attempts to kill himself to prevent it. Then the T-1000 would have to protect him from himself in addition to outside threats. I admit that if the T-1000 had taken this course of action, he wouldn’t have been so singularly focused as he is in the actual film and that may have made him less memorable as such a brutal monster. But perhaps another dimension to his character could have worked well. We’ll never know, but it’s fun to speculate. After all, there’s no fate but what we make for ourselves. This entry was posted in Random Stuff and tagged action movies, films, james cameron, movie review, movies, science fiction, sequels, terminator. Bookmark the permalink. 2 Responses to What If the T-1000 Had Found Miles Dyson First? I love that third scenario; it would make us ask the question just who was the bad guy here. It would also have been one heck of a plot twist for the movie. But i think it would have also meant that they couldn’t do the big gun battle at the office, which could be why the movie didn’t go this way.